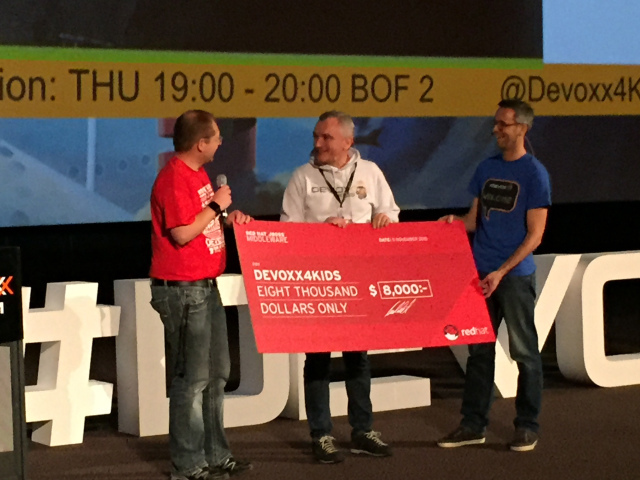 This morning at Devoxx Belgium 2015, Devoxx4Kids received an important donation from RedHat. Red Hat has been a big supporter of Devoxx4Kids since the very beginnings. And there are very proud to be able to support the next generation of successful open source developers with a donation. Checkout the involvement of RedHat with Devoxx4Kids.